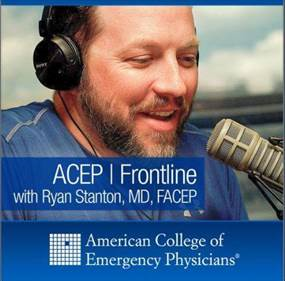 In this ACEP Frontline podcast, host Dr. Ryan Stanton and his guests, Drs. Ula Hwang, Michael Malone, and Kevin Biese, wrap up a three-part series on the Geriatric Emergency Department Accreditation (GEDA) program. “How does your institution become a GED?” presents how your ED can become more geriatric-focused, expert advice and pearls, and available resources for providers and their EDs to get started. This podcast be also be found on iTunes, Google Play or your favorite podcast app.